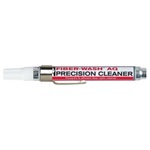 Convenient on-site fiber optic cleaning kit- FOCCUS Compact Cleaning Kit is the preferred solution for mini and in-equipment kits. 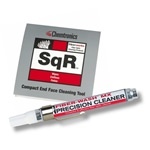 This kit is small enough to be brought to the cleaning site, and left behind for future cleaning requirements. 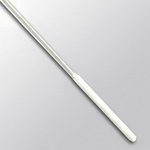 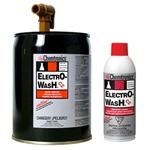 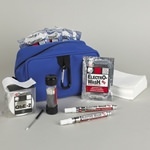 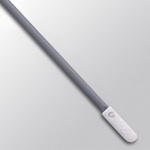 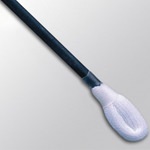 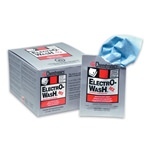 Fiber optic installation and maintenance cleaning kits for 2.5mm connections- In the I&M Fiber Optic Cleaning Kits, Chemtronics has included only the cleaning supplies necessary for making a successful 2.5mm fiber optic connection. 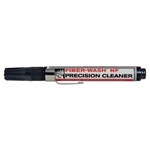 Easily transportable Fiber Optic Construction Kit for end face cleaning and fusion splice prep- Electro-Wash® MX Precision Fiber Optic Cleaner Pen and QbE® Cleaning System are included for performing the Combination Cleaning process. 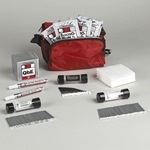 Transportable fiber optic installation and maintenance cleaning kits for 2.5mm connections- The Transportable I & M Fiber Optic Cleaning Kit contains two Electro-Wash® MX Pen Fiber Optic Cleaner Pens and one QbE® to perform the Combination Cleaning™ process.